Most evolutionary algorithms and other meta-heuristic search methods typically assume that there are explicit objective functions available for fitness evaluations. In the real world, such explicit objective functions may not exist in many cases. Instead, computationally very intensive numerical simulations, such as computational fluid dynamic simulations or finite element analysis, must be conducted. In many process industry optimization problems, no analytical mathematical models exist for describing the functional relationship between the final quality of the product and the decision variables, such as temperature and humidity. Thus, only historical experimental data can be used for optimization. There are also cases where only factual data can be collected. For solving such optimization problems, evolutionary optimization can be conducted only using a data-driven approach. The main challenges in data-driven evolutionary optimization can roughly be divided into two categories according to the amount of available data, namely, small data and big data. In the case of small data, the scarcity can mainly be attributed to the fact that data acquisition is very expensive, either computationally or costly. In such settings, data-driven evolutionary optimization problems can largely be divided into two paradigms, one termed off-line data-driven optimization, where no new data can be actively sampled, and the other on-line data-driven optimization, where a small number of new data points can be collected. 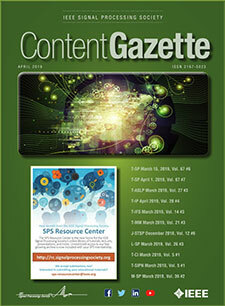 The special issue on Computational Intelligence in Data-Driven Optimization published in IEEE Transactions on Emerging Topics in Computational Intelligence in April 2019 in aims to present the most recent advances in the use of computational intelligence, in particular methodologies integrating evolutionary algorithms and other metaheuristic search methods with machine learning and neural networks, for on-line or off-line data-driven real-world optimization problems. Following a rigorous peer review process, seven papers have been accepted to be included in the special issue.